I do not enjoy travel, but do love to visit my sister, Robbie, who lives in northeastern Nevada. So last month I booked a trip to visit her for the Christmas holiday. Having just returned I can report that it was among the best of my many visits with her (and her husband Ed and their menagerie - currently including three dogs and two cats). We spent a quiet week with snow falling outside most days but a fire in the wood stove in the evening kept the house warm overnight. 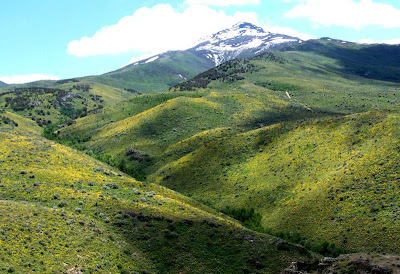 Her place is in a high valley just west of the Ruby mountains with a beautiful vista of snow-capped peaks that range from the south to north just outside the broad living-dining room windows. We had a white Christmas with snowfall much of the day, not unexpected for when spending the holiday in the mountains of Nevada. I cannot help but mention the wonderful meals I enjoyed sharing with Robbie and Ed due to both the skill and love which my sister puts into her cooking and baking. The result was fresh bread and muffins with alternate meals of savory meat, fish and vegetarian dishes. The best of these during my visit had to be the corn chowder and a delightful chicken and farfel pasta dish with pesto sauce. Only someone with the talent of a writer like M. F. K. Fisher could truly do justice to my sister's cooking with appropriate literary descriptions. Travel may not be one of my interests, but visits to see my sister are among the best things in my life. The White Tiger by Aravind Adiga is a novel in the tradition of Dostoevsky's Notes from Underground and Ellison's Invisible Man. That is to say it is not your traditional Indian novel, but one that presents the hero as the outsider, a man who is both literally and figuratively underground and invisible. The novel is narrated by Balram Halwai, "The White Tiger" who over seven nights shares his life story in the form of a letter to a Chinese official. In Balram the author has created an anti-hero who, with both charisma and charm, shares a very dark story about corruption, death and escape from the most extreme poverty into the wealth of successful entrepreneurship. The author uses the metaphors of light and dark to help us understand his traversal of a side of India seldom seen in most tales of that country. The theme of naming/identity also plays an important role as Balram takes on different names as he grows and changes from the simple munna to his eventual magisterial identity as "The White Tiger". The author has created a sort of modern journey, much as Ellison did where the hero overcomes his beginnings, and the corruption he finds everywhere, to create a new life for himself. It is, however, a new life that is strangely cut off from society so he remains an outsider to the end. The brilliant conception of the author impressed me as he presented believable characters, the realistic details about the best and worst of Indian society, and a clear depiction of the nature of the hero at the center of the story. There is black humor that is sometimes excruciatingly funny alongside true regret, and underlying it all hints of a fear (of the past) that cannot be completely eradicated. The author's voice is original and challenging as he takes you on a journey that, while seemingly straightforward, has many layers of meaning and leaves you with questions to ponder. Genuinely deserving of the Man Booker Prize of 2008, The White Tiger is both an engaging enjoyable read and a thought-provoking meditation on life. I am currently reading The Time of their Lives by Al Silverman which I gratefully received as a Christmas gift yesterday. It is a memoir and paean to the "golden age of great American publishers" and is proving to be a delightful read. I will have further thoughts after I finish reading the book but did not want to wait to share the epigraph for the book which is a poem by the Nobel Prize-winning poet Czeslaw Milosz. It reminds me of why I love his poetry and books as well. Women's dresses, dewy lilacs, a song in the valley. Translated from the Polich by Czeslaw Milosz and Robert Hass (from The Collected Poems of Czeslaw Milosz, 1931-1987. HarperCollins Publishers. The Time of Their Lives: the golden age of great American book publishers, their editors and authors by Al Silverman. St. Martin's Press, New York. 2008. The Nutcracker, Op. 71, is a fairy tale-ballet in two acts, three scenes, by Pyotr Ilyich Tchaikovsky, composed in 1891–92. Alexandre Dumas père's adaptation of the story "The Nutcracker and the Mouse King" by E.T.A. Hoffmann was set to music by Tchaikovsky (staged by Marius Petipa and commissioned by the director of the Imperial Theatres Ivan Vsevolozhsky in 1891). The Nutcracker is one of my favorite ballets and it has become perhaps the most popular of all ballets, performed primarily around Christmas time. The composer made a selection of eight of the numbers from the ballet before the ballet's December 1892 premiere, forming The Nutcracker Suite, Op. 71a, intended for concert performance. The suite was first performed, under the composer's direction, on 19 March 1892 at an assembly of the St. Petersburg branch of the Musical Society. The suite became instantly popular; the complete ballet did not achieve its great popularity until around the mid-1960s. Perhaps some of the delight is the combination of fairy-tale- like music from the pen of Tchaikovsky along with the Dumas adaptation ( the original story by Hoffmann was much a much darker tale just as many now famous fairy tales for children have their origins in darker original versions). The music is notable for the eclectic breadth that it exhibits with sweeping romantic waltzes, a pastiche of dances representing different nationalities and miniatures that have a classical flavor (not the least as homage to Mozart whom Tchaikovsky revered). Among other things, the score of The Nutcracker is noted for its use of the celesta, an instrument that the composer had already employed in his much lesser known symphonic ballad The Voyevoda (premiered 1891). Although well-known in The Nutcracker as the featured solo instrument in the "Dance of the Sugar Plum Fairy" from Act II, it is employed elsewhere in the same act. The Nutcracker Ballet is a continuing delight for viewing and listening during the holiday season. In pre-World War I Azerbaijan the cultural chasms are as deep as the oil wells that surround the city. Muslim Ali Khan, the scion of the wealthy and powerful Shirvanshir family, has fallen in love with Princess Nino Kipiani, the daughter of a rich Christian merchant family. Their courtship, opposed by family and friends, is disrupted by the outbreak of war. A time of great change is coming for Russia and for the Middle East, and the young lovers must decide whether they belong to Europe or Asia. Rich with depictions of the people of the Caucasus and affecting in its portrayal of youthful romance, Ali and Nino has been called “a jewel of a book” by the New York Times Book Review. This is not just a simple love story. But it is a romance, and a journey through the Caucasus, and a love story of operatic proportions. Ali & Nino by Kurban Said is all of these things presented as a somewhat traditional novel by a very nontraditional author. It is a romance in the tradition of great romantic literature. Ali Kahn, the narrator and hero, becomes a hero conquering his enemies in love and in war. As a national hero he is portrayed as growing into the position of national icon, the sort of mythic hero about whom wonderful stories are told. We are fortunate to read his own story. The novel shows us the Caucasus of the early twentieth century as it undergoes tremendous political change and must react to world events of war and revolution that impinge on the life of the local culture. It is a culture for which blood feuds are as important as international news. We see new nations in the process of formation: Georgia, Azerbaijan and modern Iran. At the center of the novel is the love story of Ali Kahn Shirvanshir and Nino Kipiani, one Muslim and one Christian, whose love transcends religion and culture and national borders. The author develops these characters with depth so you know them and share in their feelings. They live in the real world of the Orient but share in Western culture as naturally as they adapt to the change from the rustic village in the Caucasus to the luxurious palace in Muslim Azerbaijan. One reads of Western Opera, Faust & Eugene Onegin, being as much a part of their culture as the great Islamic poets. This made the book more engaging than any simple love story. Kurban Said, who was himself something of a mystery, created a lasting work to read again and again in Ali & Nino. This is the absurdity of the world in which the Father issues his didactic message and which the residents of Oran are experiencing a recrudescence of plague with the real effect of "widespread panic". This reality is not ameliorated by the Priest or the doctors in the prison-like environment in which they are confined. The contents of Invisible Forms exist in that realm somewhere between the trivial and the whole world. It is an interesting place, one that invites the reader in for a dip now and then. Watch out that you are not engulfed by the world of Invisible Forms. 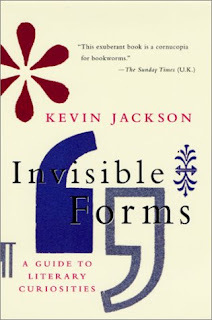 Invisible Forms: A Guide to Literary Curiosities by Kevin Jackson. St. Martin's Press, New York. 2000. Simply Beethoven. That is all that is needed for he is one of a handful of great composers (Bach, Brahms, Wagner , Handel) whose magnificence and genius is encapsulated in the simple pronouncement of his last name. 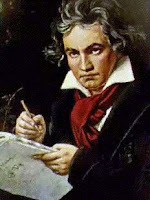 But in Beethoven's case we may add Hero to the name, for he will forever be associated with the Heroic style in music. Foremost in evidence we have his Third Symphony, The Eroica Symphony No. 3 in E-flat major, Op. 55, along with several of his other greatest compositions, that demonstrates the power of his Heroic style. In his book, Beethoven Hero, Scott Burnham includes Symphony No. 5 in c minor, Op. 67, and the Coriolan Overture, op. 62, as further examples of the Heroic style. Beethoven's music is one of struggle, the original "sturm und drang" that leads to the eventual triumph of man - the sign of his greatness. Who is Beethoven's hero? Milan Kundera, in The Unbearable Lightness of Being, commented, "We believe that the greatness of man stems from the fact that he bears his fate as Atlas bore the heavens on his shoulders. Beethoven's hero is a lifter of metaphysical weights." Beethoven is the Hero of men who love humanity. Beethoven Hero by Scott Burnham. Princeton University Press. 1995. This is a novel of ideas by Irvin D. Yalom. Given its' title the publisher decided that it would be useful to add the words "a novel" at the top of the front cover; presumably so that it would not be confused with self-help psychology or philosophy texts. The "novel" portrays the operation of group therapy under the direction of Julius Hertzfeld, an experienced therapist, at the center of the novel. But it also contains contrasting chapters highlighting the life and thought of Arthur Schopenhauer (along with epigraphs from Schopenhauer at the beginning of every chapter). It is moderately successful with this combination; however I was disappointed with the therapy group portion of the novel - particularly the two other main characters, Philip and Pam. The presentation of ideas provides the reader with plenty of "food for thought". 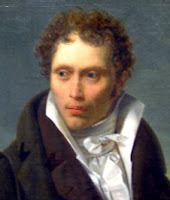 However, if you seriously want to learn about Schopenhauer you should read his work, starting with his essays, for he is one of the most lucid and readable of all philosophers. And he is worth reading, for he had significant influence on subsequent thought, although this was more pronounced in the musical and literary realm than academic philosophy. You cannot listen to late Wagner (Tristan and beyond) or read Thomas Mann's novels without encountering the influence of Schopenhauer. In the philosophic realm his greatest influence was on Friedrich Nietzsche, who even wrote an essay about his debt to Schopenhauer (Schopenhauer as Educator). The Schopenhauer Cure succeeds as a novel of ideas in its presentation and will appeal to all who enjoy this type of book; but it is best in suggesting a direction for further reading (Schopenhauer, Nietzsche and Freud) for those who are interested. I attended the Chicago premiere production of A House With No Walls by Thomas Gibbons at the TimeLine Theatre Company. The play was inspired by real events in Philadelphia surrounding the construction of the new Liberty Bell Center. When the original President's house (from the decade beginning in 1790 when Philadelphia was the capital city) was discovered and the slaves quarters for the house a protest developed to preserve this slaves' quarters as part of the new structure. The play focuses on the tension between the leader of the protest, Salif Camara played by A. C. Smith, and a conservative Black professor, Cadence Lane played by Amber Starr Friendly. Both Friendly and Smith were excellent in their respective roles. While their story is playing out their is a concurrent portrayal of two of the slaves from the original quarters who, near the end of the decade, are faced with the prospect of returning to Mount Vernon. This story of the sister and brother Oney and Austin Judge is contrasted with the modern confrontation and is tied in through the historical research of Cadence and a colleague of hers, Allen Rosen played by Steve O'Connell. The play was effective and tautly directed by Louis Contey. I found the performances of Friendly and Smith particularly strong along with Leslie Ann Sheppard as the young slave girl. Overall the play raised interesting questions about the appropriate way to commemorate and respect the history of slavery in today's society. Once again TimeLine Theatre Company provided a thoughtful history-based drama with contemporary interest. Today is the birthday of Hector Berlioz, who was born on this day in 1803. He would live for sixty-six years and is considered one of the masters, if not the founder, of musical romanticism. I have enjoyed his music at least since I was in high school and played the English Horn solo in his Overture, Le Carnaval Romain (Roman Carnival). He is best known for his large works including the Symphonie Fantastique, Harold in Italy (Concerto for Viola and Orchestra), Operas (Les Troyens and Beatrice et Benedict), and his works for Chorus and Orchestra including his Requiem and La Damnation de Faust. It was the last of these that was included by the Metropolitan Opera as their opening work for the 2008-9 season of Saturday afternoon broadcasts just the week before last. Among composers, Berlioz is not alone in his fascination with Goethe's Faust as this drama has served as the source for operas by Gounod, Spohr, Boito and Busoni among others. Berlioz wrote his "legende dramatique" for Orchestra and Chorus; first performed at the Opera-Comique, Paris, December 1846. It did not meet with critical acclaim, perhaps due to its halfway status between opera and cantata; the public was not impressed, and two performances (and a cancelled third) rendered a financial setback for Berlioz: "Nothing in my career as an artist wounded me more deeply than this unexpected indifference", he remembered. It was subsequently performed more successfully in Paris after his death (1877). The Metropolitan Opera premiered it first in concert (1896) and then on stage (1906). The Met revived the production on November 7, 2008 directed by Robert LePage, with innovative computer-generated stage imagery that responds to the voices of the performers. In our continuing reading of this novel our Sunday Morning Group has found this aspect of the novel a rich topic for discussion as we near the end of its second section. The work abounds with Sisyphean metaphors while even the structure demonstrates this theme as Camus has a virtual rebeginning at the start of the second part mirroring the opening of the novel and reminding us of the greater Sisyphean task before us. The failure of communication exists at all levels and we see reminders on almost every other page; for example in chapter 9 (the opening of Section two) we see "all these people found themselves, without the least warning, hopelessly cut off, prevented from seeing one another again, or even communicating with one another." In some sense the novel becomes one of creating a community within Oran to deal with the Sisyphean task of the ordeal of the Plague and the greater task of living one's life. 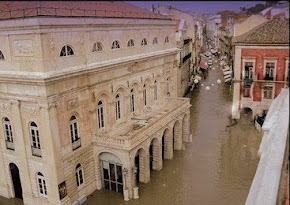 The city and the people change as they try to deal with the cataclysm that has overtaken them. The community is infected and imprisoned and becomes obsessed with communication and the futility of communication with no response (more Sisyphus or merely the absurd?) Future reading and discussion will follow that change and their lives. The Plague by Albert Camus. Trans. by Stuart Gilbert. Vintage Books, New York. 1991 (1948). From Proust to Camus: Profiles of Modern French Writers by Andre Maurois. Trans. by Carl Morse and Renaud Bruce. Doubleday & Company, Garden City, New York. 1966. 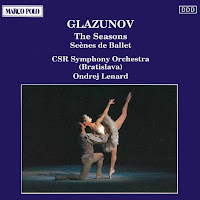 Early this morning I listened to the ballet music, The Seasons, by Alexander Glazunov (10 August [O.S. 29 July] 1865 – 21 March 1936) who was a Russian composer, teacher and conductor. He served as director of the St. Petersburg Conservatory (later Leningrad) between 1905 and 1928. He continued heading the Conservatory until 1930, though he had left the Soviet Union in 1928 and did not return. The best known student under his tenure during the early Soviet years was Dimitri Shostakovich. Glazunov reconciled Russian Nationalism and Western influences in his music and generally resisted the more extreme modern tendencies of the early 20th century. He ended his career in exile in Paris. The Seasons was premiered in St. Petersburg in 1900 and has been recorded several times. The music is highly romantic, reminiscent of the great ballets of Tchaikovsky and Delibes. 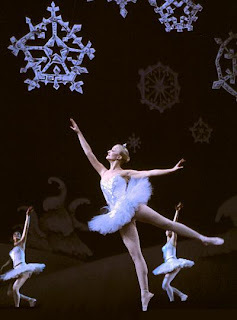 The ballet opens with scenes depicting Winter and continues through the seasons to an Autumn finale. My favorite selections are the Waltz of the Cornflowers and Poppies (probably the most familiar melody) from the Summer, and the Bacchanal and Finale from the Autumn. Each time I listen to this music I am touched by memories of previous moments of listening with the music touching me deeply. I then spend the rest of the day with melodies from the ballet streaming through my consciousness. It is powerful music with great moments of creative triumph. "Towards the end of In Search of Lost Time, the narrator observes that "reading teaches us to take a more exalted view of the value of life, which at the time we didn't know how to appreciate and of whose magnitude we've only become aware through the book."" In his lecture Joel shared an appreciation of this view and brought us into Proust's text in a way that made this "exalted view" more clear. He opened with the observation that reading was "redolent" in Proust's work and he reiterated this as he progressed through his talk. It is this redolence and the abundance of references to reading in Proust that made this lecture especially interesting (at least to this reader). Several themes impressed me including, passion and reading, time and reading, and the importance of books. Proust described a book as "magic as potent as the deepest slumber", and if you have read Proust you know he was somewhat an expert on slumber. Proust comments on the experience of reading while referring to it as a "strange adventure". Joel went on to discuss Proust's use of reading and the use of metaphors and analogy in this regard. One would think that Proust's novel was merely about reading until you remember that it has more than three thousand pages and covers many other themes as well. The talk was insightful and detailed in its presentation of reading in Proust (I would also encourage you to visit Joel's Proustian website). Near the end of his lecture Joel asked the question, "Who are Proust's readers", and gave us the answer, "Readers of their own selves." It is with this thought that I certainly concurred and was encouraged to return again to In Search of Lost Time; to remember, rediscover and inspire my own self. Having recently read Joseph Roth's fine short novel, Job (1930), I decided to turn to an even earlier work by him, Rebellion (Die Rebellion), from 1924. It was originally serialized in the German Socialist newspaper "Vorwarts" (Forward), and published in the same year, 1924. This novel along with The Spider's Web and Hotel Savoy make up what is considered Roth's early period. Rebellion is the story of young Andreas Pum, a veteran of the Great War who lost a leg but gained a medal for his service. He is a simple man who lives with his friend Willi and plays a hurdy-gurdy. He soon marries the recently widowed Fraulein Blumlich, who, in a scene of melodramatic pathos, deftly elicits his request for her hand in marriage. It is a marriage for which they must wait four weeks to avoid appearing improper; a portent of future disappointments for Andreas. His fortunes take a sudden turn for the worse, set off by a chance altercation with a typical bourgeoisie, Herr Arnold. Andreas soon finds himself facing time in jail. His wife reacts to this by leaving him; he loses his license to perform music, and he even loses his friendly mule(sold by his wife). In jail he experiences a quixotic desire to feed the birds outside his window, but the State, to whom he makes a formal request, will not allow this exception to the rules. The prison doctor who examines him tells him that he should not philosophize: "You should have faith, my friend!" Things change for the better for his friend Willi whose entrepreneurial instincts awaken and lead him out of poverty; but Andreas is doomed for a bad end. In one of its best moments, the story ends with a dream-like sequence where we experience Andreas' last feelings. He is facing the confusion of the after-life and the wonderment expressed: "Andreas began to cry. He didn't know if he was in Heaven or Hell." The novel suggests a more radical thinker than Roth would become in his great novels, Job and The Radetzky March. Yet, there are signs of the later Roth, and having recently read Job I see suggestions of the musings of Mendel Singer in the thoughts of young Andreas. Both men have seemingly been betrayed by their God and are trying to deal with their life in his apparent absence. In Andreas' case the rebellion has a resonance with the rebellion so finely depicted in Dostoevsky (esp. 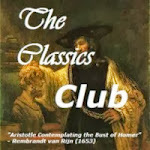 The Brothers Karamazov - see my previous posts on this great novel). The result for the reader is a short novel that is long on provocative ideas that linger in the mind. It was on this date in 1956 that the opera (operetta?) by Leonard Bernstein premiered in New York. It was not particularly successful at the time but, largely due to the felicitous melodies of Bernstein, it has remained in the repertory and after several revisions is with us still today. I have been fortunate to see a production of Candide and I have long been fond of its most popular number, the overture, which includes a medley of tunes from the opera itself. Before there was the opera there was the original, Candide: or, Optimism by Voltaire (nee Francois-Marie Arouet). The important thing to note about the title is the subtitle, optimism, for in all of literature there is hardly another work that argues more strongly for an optimistic approach to life. While Voltaire takes a cynical view of humanity that even denizens of the twenty-first century can appreciate, his cynicism does not lead him, or rather does not lead his character Doctor Pangloss, to reject an optimism that is best know by the phrase; this is "the best of all possible worlds". 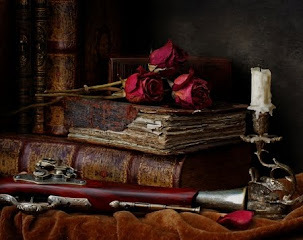 Yet, it is late in the book that we realize that Voltaire takes a view that man's life is made worth living by the exercise of hope, good nature, and industry. Indeed, the book ends with Candide saying to Doctor Pangloss, "we must cultivate our garden". And our garden, even for the skeptic Voltaire, is the one we inherited from Adam after his unceremonious exit from Eden. Voltaire's Candide is a delight for the reader almost two hundred fifty years after its first appearance from the fiery pen of one of the greatest thinkers of the Age of Enlightenment.